Millions of recipes that might require an oven and high temperature to cook can be found on the internet and cookbooks. And, there are thousands of ovens in stores like Harvey Norman. But the best prices and a combination of the best products can be found on this catalogue. 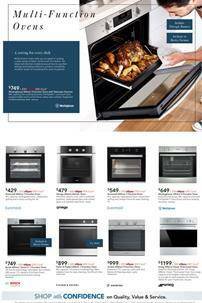 Harvey Norman Catalogue multi-function ovens can offer a convenient way of cooking everything. Without ovens, you are stick with low heat of frying pans or cookpots. Multi-function ovens can provide A class energy rating that means low electricity consumption. Efficiency is the keyword here. You need low energy for high heat. You will also get eftpos gift cards for purchasing ovens on pg 2. Omega, Euromaid, Ariston and more reliable brands of these cooking appliances are available in the latest Harvey Norman Catalogue. You can Roast lamb, cook your chicken, heat your steak and do a lot of other things with these ovens. Check out the prices below and let's know what you think of these products. 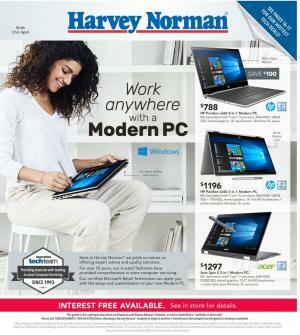 Harvey Norman Catalogue deals are effective starting on 24 Dec until 31 Dec. You can shop these prices on boxing day week. Hisense, LG, Fisher & Paykel, Westinghouse fridge deals are available on pg 8. HN offers 60 months interest-free payment method. You have kitchen appliances, too. Check out the kitchen range on pg 9 where kettles, coffee machines, all-in-one cookers, Airfryers, and more products are on sale. Breville breakfast pack is there and it will cost only $69. Save $20 on that product. Find washing machines and ovens on pg 10. Euromaid 500mm electric freestanding cooker will cost $397 this week. Also, remember to check out vacuum cleaners on pg 11. Dyson and vax products are pretty popular these years.